Well it’s barely April and already my hometown has been hit by a tornado. Maybe we’ve gotten it out of the way… But at any rate it’s a reminder that it’s time for my semi-annual collection of weather-related apps I’m using today. Before digging into what’s new, it’s important to remember that while online services are useful and convenient, they are by their very nature prone to failure during emergencies. Power outages, data failure, network congestion, dead batteries are just a few obstacles that can cut off your critical information in life-or-death situations. As always, my primary source of weather information comes from NOAA. Their site sprawls out endlessly, but I frequent spc.noaa.gov and weather.gov. There are also handy shortcuts, including weather.gov/norman for the Norman Forecast Office (OUN) webpage. 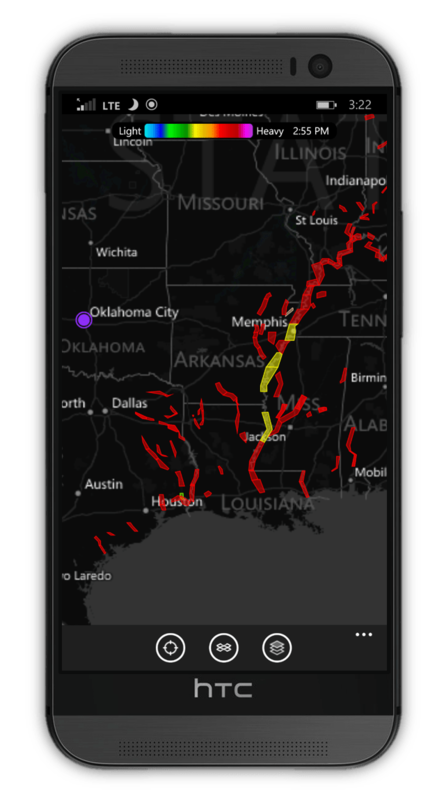 On your phone, check out mobile.weather.gov for small-screen-friendly view of the hazardous weather outlook and other products. Of course the NWS website is of little use during an emergency, and while listening to weather radio from your PC is convenient, it can’t be relied upon when fury is literally raining down. Keep a weather radio with fresh batteries available at all times. And most importantly, keep the weather radio on, especially when you go to sleep. Warning sirens outdoors may sound loud enough to wake you during the Saturday tests, but during heavy storms their alerts are drowned out by rain, thunder, and atmosphere. 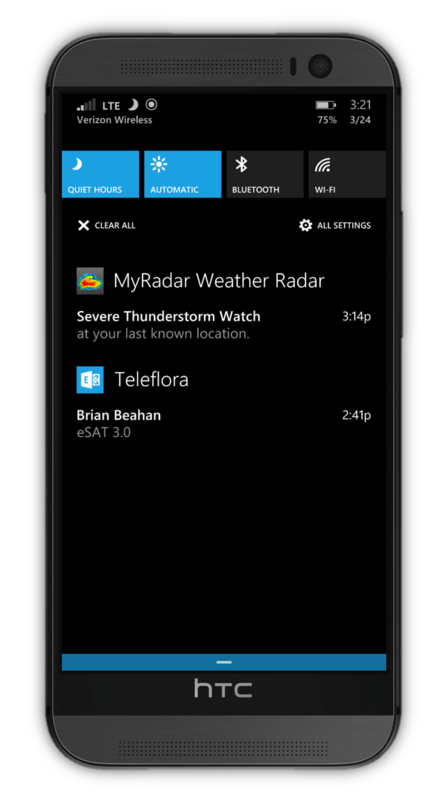 Real-time notification for weather impacting my location. Get a quick look without even opening the app by pinning the live tile to your Start page. Zoom into a city block our out to view the country; here showing flood warnings for a storm since passed. Alert text comes from the National Weather Service. This app is great on tablets in Windows 8. …and on the desktop in Windows 10. 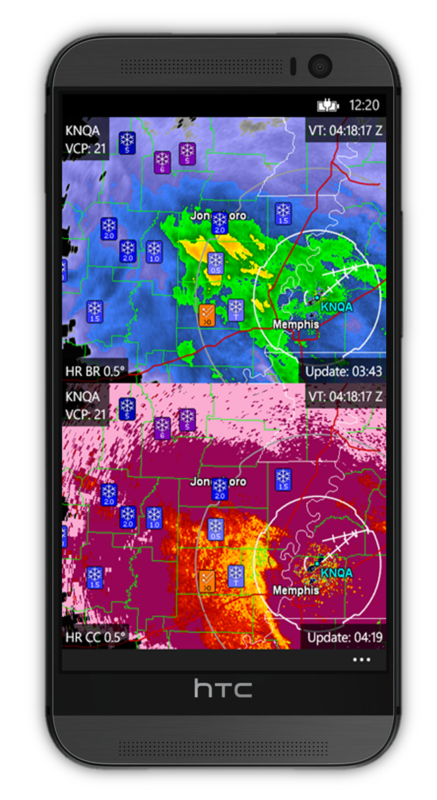 From the maker of GRLevel3, this is a powerful mobile app displaying the same detailed Level III radar data as the parent app (with a few less options). One downside to MRLevel3 is that in the current version, you cannot retrieve recent archival radar cache data. That means you can only play a loop once the app has been open long enough to receive those scans. 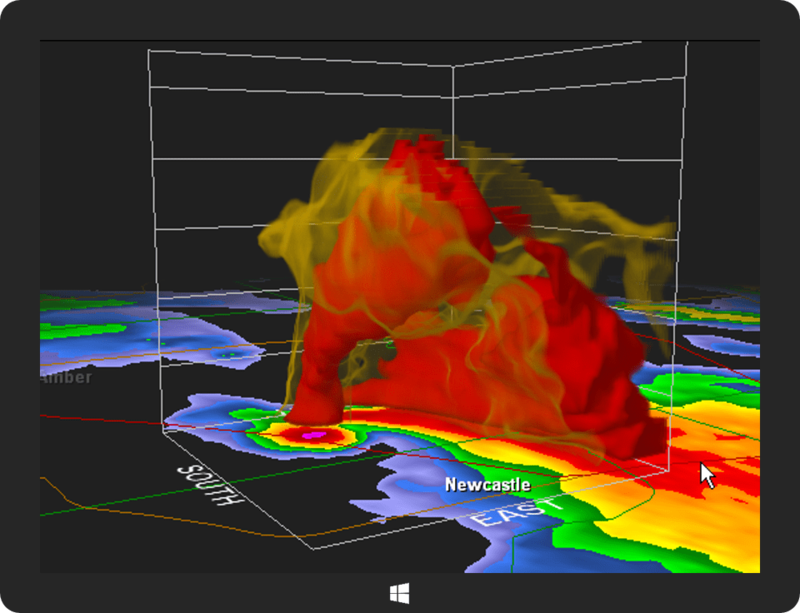 GRLevelX software on the Windows desktop provides powerful radar data modelling. 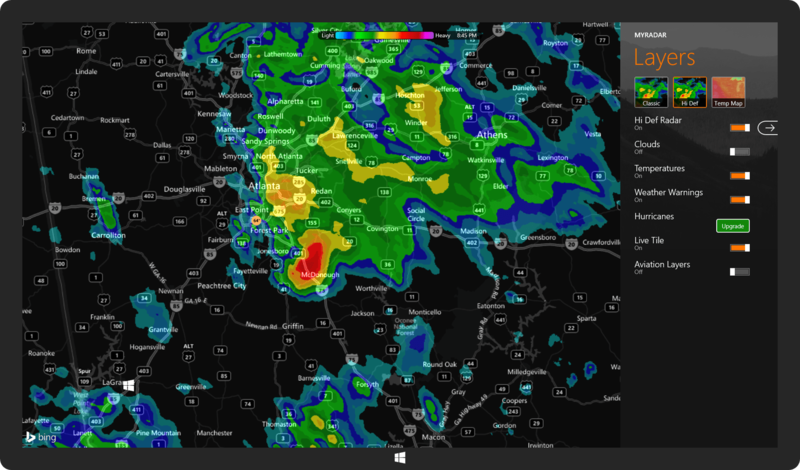 MRLevel3 is a Windows Phone version of the powerful GRLevel3 radar software. AllisonHouse aggregates and integrates weather data into client programs such as GRLevel3. For a small monthly fee, AllisonHouse provides faster and more reliable data access to radar scans than the public NWS systems. 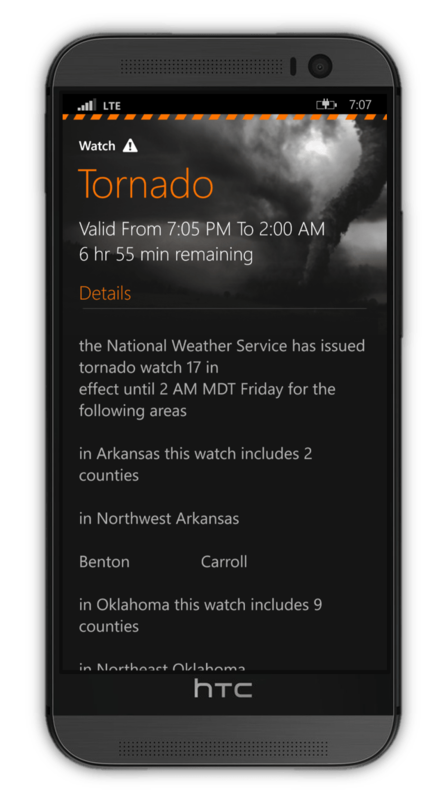 This is the only streaming audio app I know of for Windows Phone that includes NOAA Weather Radios sites, along with amateur radio, police scanners and more from around the world. It hardly falls into this category, but I do have the Microsoft Weather app installed and pinned to my Start page, mostly to provide a quick glance at a 7-day forecast. 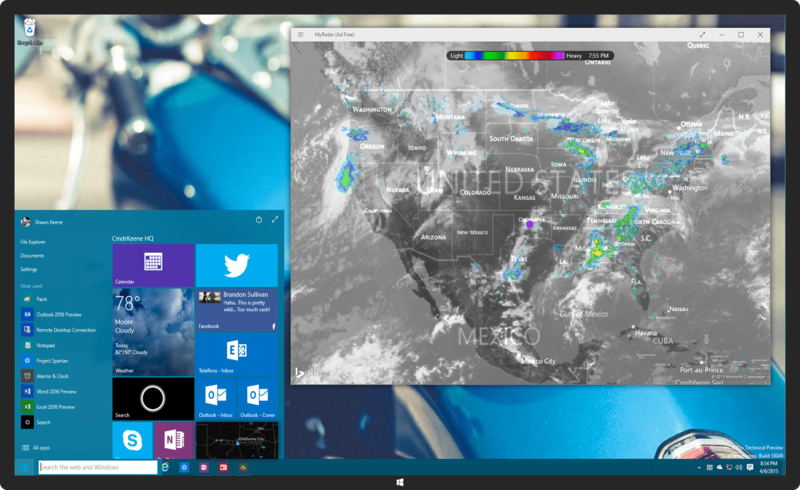 If you’re using a Windows device, check out my 2013 Weather Apps post for a few more programs, including other live tile radar apps and more that I’ve tested out. 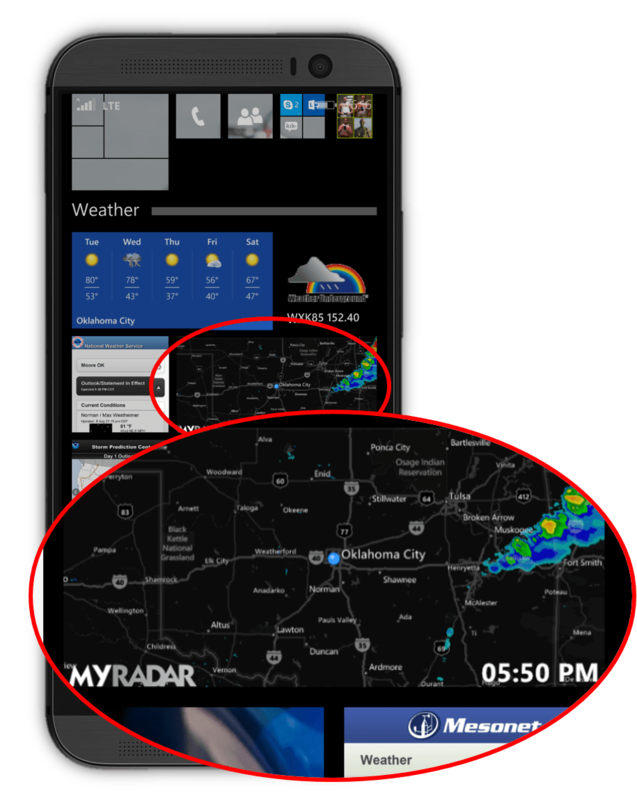 My 2012 Weather Apps post also includes several Android app picks. What are your favorite ways to watch the weather? Comment below!